Despite facing a 2-1 deficit to then-No. 14 Purdue University Friday night, the No. 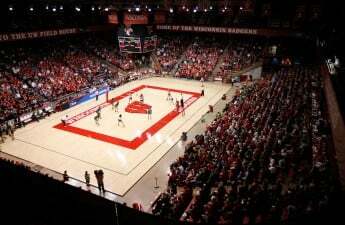 2 University of Wisconsin volleyball team returned to Madison unscathed from yet another challenging road trip this season over both Purdue and the University of Indiana. While it is often challenging for a top five team to do, Wisconsin had no trouble proving itself against an even more legitimate contender in Indiana this weekend. The Badgers (12-1, 4-0 Big Ten) had already shown the rest of the Big Ten what this year’s squad was made of after they dispatched then-No. 18 Ohio State University and the University of Maryland in consecutive sweeps to open Big Ten play a week ago. 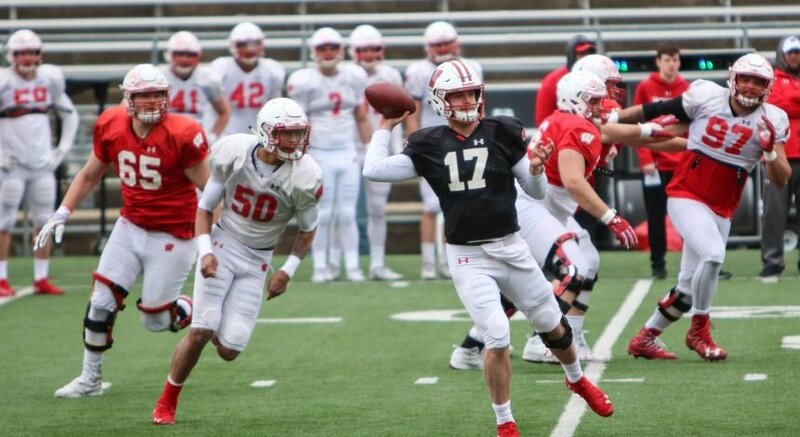 The final question surrounding UW was whether the Badgers could perform at the same level on the road as they did at home against top-tier Big Ten talent. If there was anyone doubting Wisconsin’s ability to travel before last weekend, they’re aren’t anymore. 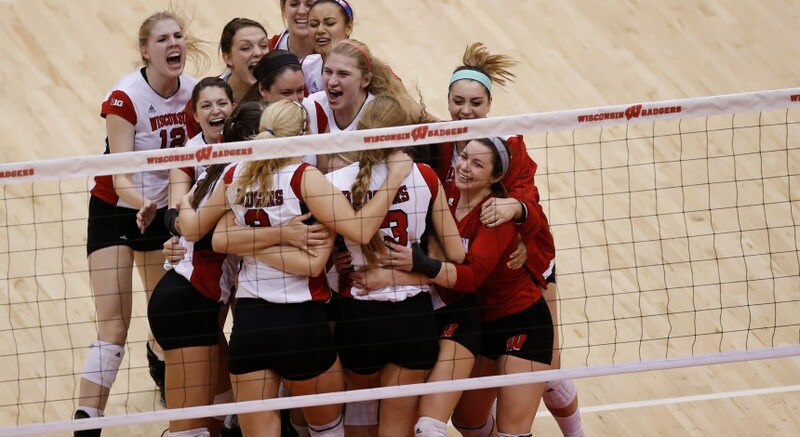 After coming from behind and stealing the last two sets 25-21 and 15-6 to beat Purdue 3-2 overall, Wisconsin made it clear that no matter the location, this year’s Badgers have been a force to be reckoned with. While the Boilermakers (11-3, 1-2 Big Ten) did an admirable job of containing freshman standout and outside hitter Molly Haggerty, sophomore middle blocker Tionna Williams stepped in with a career-high 17 kills to help put the Badgers over the edge. Williams eclipsed her previous 2016 season-high of 15, which came in the Badgers’ only loss of the season at then-No. 11 University of North Carolina. Junior outside hitter Kelli Bates also added a double-double performance, recording 10 kills and 15 digs in the team’s winning effort. Wisconsin claimed its sixth win over a ranked team through only 13 games on the season. Yet, Friday night’s comeback victory over Purdue was only half of the Badgers’ total success last weekend. 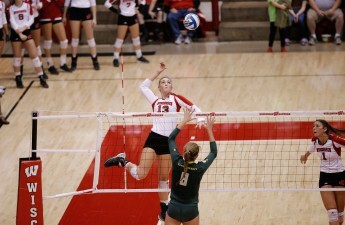 Despite having to travel over a hundred miles and take on Indiana less than 24 hours after battling Purdue in five sets, Wisconsin hit the ground running in a 3-0 commanding sweep over the Hoosiers. Indiana (12-5, 1-3 Big Ten) dropped its third consecutive game after losing to Wisconsin at home last Saturday, leaving the Hoosiers with a rocky 1-3 start to Big Ten play. Despite averaging a .141 hitting percentage on the season, Bates finished Saturday’s win over Indiana with a career-high .643 hitting percentage, and also led the team in kills with 10 total. The Badgers now travel to Rutgers on Wednesday to take on the Scarlet Knights and hope to extend their winning streak to eight.